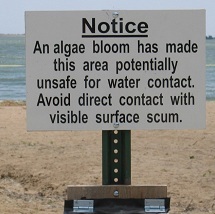 Sierra Club Florida News: Tell President Obama: Clean Up Florida's Slime! Toxic slime is choking our waterways, and today you can help stop it. Every day, many of our country's iconic waterways are under attack from fertilizer, sewage, and animal manure. Tell President Obama and the EPA to protect our water from toxic pollution. The EPA has developed a strong pollution limit that will help clean up and reduce toxic algae, but big polluters are doing all they can to fight this new standard. From the Mississippi River Basin, to the Great Lakes, to the Cheseapeake Bay, we are fighting hard to protect America's water from toxic algae. Nowhere is this problem more visible than in Florida, where a telltale green slime covers waterways across the state. This pollution -- and the slime it creates -- has put Florida's water, wildlife, and economy at risk. It's time to fight back against these polluters who have no regard for our communities and our water. What happens in Florida will set the stage for what happens across the country. Speak up today -- not just for Florida, but for all of America's water. Tell the EPA to enforce a strong pollution standard. We've seen what toxic algae can do. We've seen how it cripples fishing and tourism. We can't afford to wait any longer to take action. By sending a message today, you'll be joining thousands of others who are calling for strong action to protect our communities, our water, and our economy.